In December 2017, two of Australia’s largest companies – Tabcorp and Tatts – merged. The resulting company, which took the Tabcorp name in the so-called ‘mega-merger’, has 5,000 employees; Australia’s largest retail footprint with some 9,000 venues and outlets; and more than three million registered customers. It is now one of the world’s biggest gambling groups, with more than $5 billion in annual revenues. Unsurprisingly, the last year has been a time of major change for all involved. Amid this change, Ross was handed a major challenge: consolidate the technology of two huge companies, align all the processes and leadership structures and ways of working of two 400-strong technology functions, and continue to deliver and innovate and not mess up on huge events like the Spring Racing Carnival, Melbourne Cup day and record Powerball lottery draws. “From a psychological, social level, it’s been really interesting.…all moving into the same tent and comparing notes – you found out that we’re all trying to tackle the same problems but taking slightly different approaches. That for me was enlightening,” Ross tells CIO Australia. “It has required a lot of focus from myself and the exec team in bringing people together in a really healthy way because it is counter intuitive when you’ve viewed an organisation as a competitor…We’ve been refuelling while we’ve been flying the plane,” she adds. Tatts and Tabcorp between them worked with “pretty much every brand in the tech ecosystem” Ross says. Over the last 15 months, tough decisions have been made as to which vendor to continue with in “every single part of our tech environment”. “We sat back, looked at all the factors, looked at cost, looked at capability of the platforms, looked at maturity, looked at where we wanted to be in years to come and made some quite unemotive decisions around which platform we would select,” says Ross. The decision making process has been aided by the unique situation arising from mergers – the ability to compare notes with a past competitor. “We were able to have some really candid discussions around what was going well in both of the technology ecosystems,” Ross says. “It was fantastic. It put us in a really strong position when we were dealing with potential vendors and partners. We’re talking – bring out all your dead bodies, what’s working well, who are our best partners and areas where we’re less mature that need attention,” she adds. Those conversations happened after a concerted effort by Ross and her team to “connect people at a human level” by pairing them up with their equivalent and giving them time to get to know each other. Quickly, staff realised there was “enough work for everyone to do here” and turned their minds to which technology solutions would work best in the combined company. “Getting people working together and putting on the table those experiences and working through them in a much more data-driven, commercial, service-focused way – that really has put us in a great position to make decisions, that weren’t about people and political connections to different technology vendors,” Ross explains. Often, neither of the two previous companies’ vendor choices has been carried forward. “In some cases, the capability on both sides wasn’t fit for purpose and we’re making a strategic decision to leapfrog and uplift the capability, where neither product is fit for purpose for the scale of the combined organisation,” Ross says. Oracle dominates in the core corporate space and ERP and will do over the next few years. Microsoft is the vendor of choice for email and intranet with Office365 and Sharepoint. The platforms that underpin transaction processing is a combination of technologies, with lotteries systems mainly Microsoft and wagering leaning to proprietary and open source. Two vendors are currently in contention to roll out SD-WAN technologies across the company’s retail locations. Legacy data centres are also being consolidated with NextDC, at a cost at least $30 million less than Tabcorp and Tatts had budgeted to spend on a stand-alone basis. The move is part of a hybrid hosting strategy combining both on premises and public cloud. Perhaps tougher have been the decisions made about the technology team itself – how it is structured, how it operates and which tools it uses. 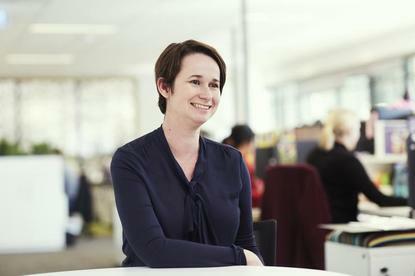 Ross became Tabcorp CIO in the merger – she had previously held the same role at Tatts – which resulted in CIO Kim Wenn departing after more than eight years in the top IT role and over a decade at the company. Every role within the new technology function was reviewed. Often there wasn’t a “one to one mapping” of roles, Ross explains. “We advertised all roles that we had available, opened them up for expressions of interest and went through quite rigorous processes to appoint people. Where within the organisation there weren’t comparative skills we were doing direct appointments,” she says. “Many of the roles were up-weighted so the scope and scale of them was significantly larger. It actually presented some great opportunities for the great people and talent we had in our organisations to step up and in some cases move into a different area,” Ross adds. Nevertheless, the initiative “certainly resulted in leaders exiting”. The combined function – made up of around 1,000 employees plus contractors – is now seeking to standardise its ways of working. Ross says that teams are at different stages when it comes to their adoption of contemporary working styles like Agile, lean and DevOps. 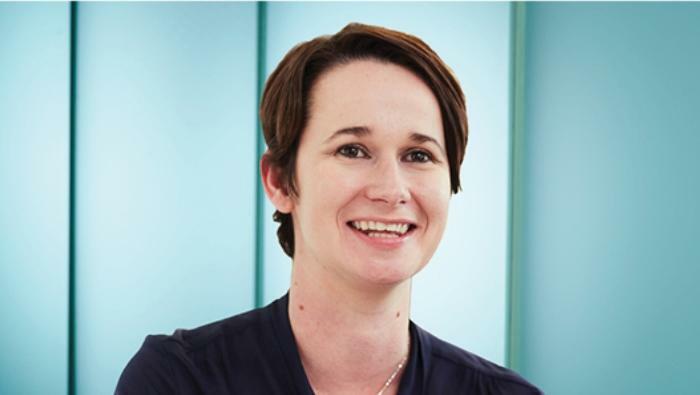 “You might have a team that’s accustomed to working in a really agile way and they’re used to delivering every fortnight, or every week; working with a team who may deliver a few times a year. You can imagine, to deliver some of the integration outcomes, you have to align that cadence, and connect those teams up,” Ross says. “We can’t blow the place up right? Change takes time, but by the same token, [you have to] make sure they’re not frustrating each other and paralysing one team or the other,” Ross says. Ross has established a ‘delivery practices team’ packed with coaches and programs to instil new ways of working across the function, and a pilot ‘Pivot Program’ is underway to “officially mandate” the practices. “It was a really hard leadership year if I’m really honest,” Ross admits. The big decisions around technology and how the function runs have been made with as clear a head as possible, in “what at times could be a really emotive conversation where people were passionate about their technologies and their achievements of the past,” Ross adds. The coming together of the two companies’ cultures is still a ‘work in progress’ Ross says. But despite the differences Ross says she has “found more commonalities than anything”.